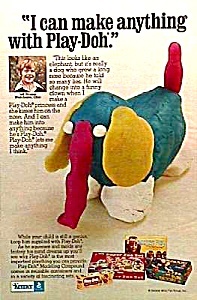 1974 PLAY-DOH Toy Nostalgia Ad REMEMBER? A great vintage full page original magazine ad. Ad measures approximately: 7 1/2" x 10 1/2". Condition: VG.